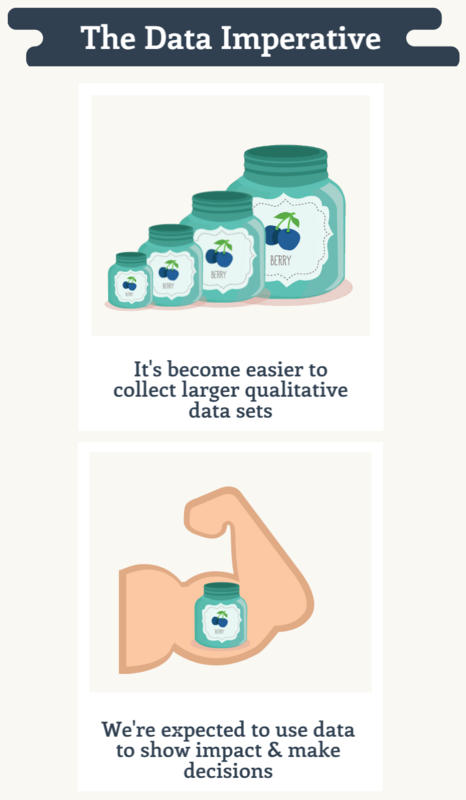 Collecting large amounts of qualitative data is easier than ever – but analyzing them is a challenge. Extensions and other complex organizations are expected to use data when they develop their programs and services; they are also expected to ground their communications and reports to stakeholders in rigorous data analysis. 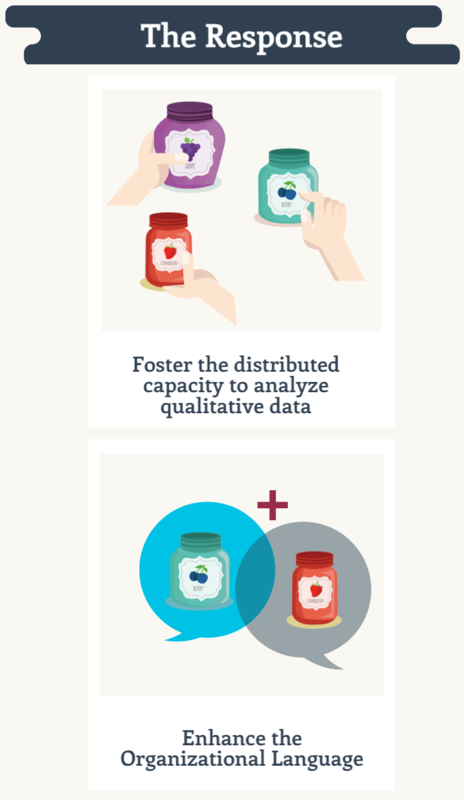 UW-Extension responded to this imperative with the Data Jam Initiative, an innovative Evaluation Capacity framework that utilizes Qualitative Data Analysis Software. Build a strong and engaged community of practice around using Qualitative Data Analysis Software in your institution. More people can get more done – and more perspectives are an important driver for systemic insights. Building out shared methodological and technical analysis skills allows your institution to respond to the Data Imperative more quickly and thoroughly. Continuous, well-documented and distributed engagement with qualitative data in turn creates the foundation for developing a rich organizational language. 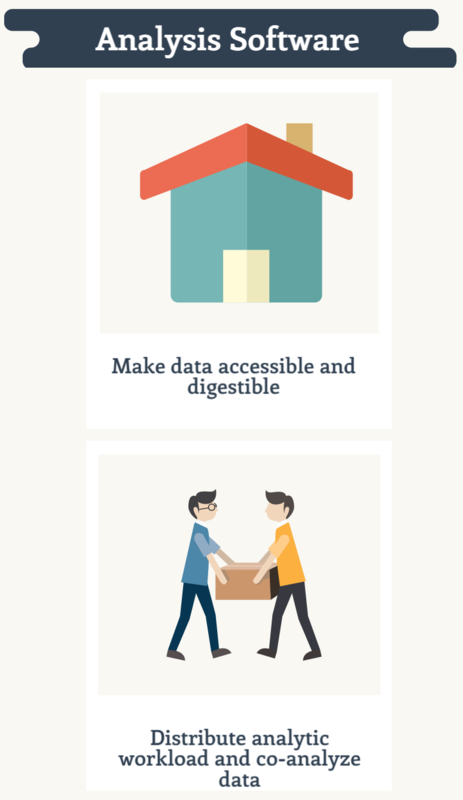 The Data Jam Tool Kit is designed to establish organization-wide Data Literacy and it is based on the UW-Cooperative Extension’s Data Jam Initiative. Its curriculum is built around the use of Qualitative Data Analysis Software, a tool designed to support the analysis of large amounts of textual information. Qualitative Data Analysis Software (such as MAXQDA, NVIVO or Dedoose) can not do qualitative analysis for you, but it allows for efficient data management and the distributed analysis of large datasets in large teams.